NYU Professor of Innovation Luke Williams, Starvest Partners General Partner Deborah Farrington, and Catalyst Investors Partner Tyler Newton discuss whether they would invest in startup Shoppable. In an effort to make online shopping easier, Shoppable founder Heather Marie came up with an idea for universal checkout technology. 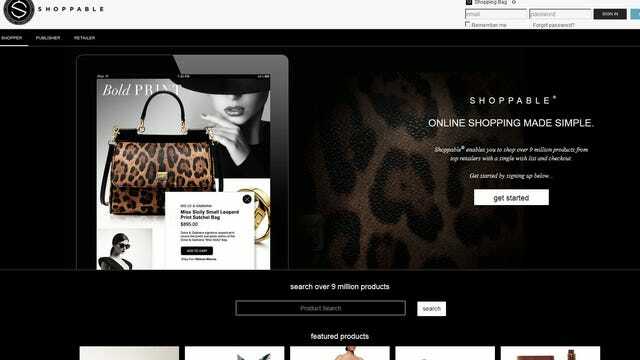 Through Shoppable, over ten million products are available for purchase directly from a digital magazine or blog. Marie will be making the case for her startup on Elevator Pitch on Risk & Reward on Friday Oct. 31 to a panel of judges. Tyler Newton from Catalyst Investors, Deborah Farrington from StarVest Partners and “Disrupt” author Luke Williams will all be evaluating the business. Shoppable, whose clients include L’Oreal and BuzzFeed, was inspired after Marie had trouble finding the items for purchase that she found on blogs and magazines. “It was hard to track down the product and purchase it,” Marie says.